Lots of penalty shoot outs and thrills and spills for a plethora of Maree/Oranmore fc club sides this past weekend. The Galway Clinic sponsored community based club played in no less than four cup games with penalties deciding the outcome while there was also plenty of competitive League action. Club members are asked to return their Last Man Standing Cards to their coach. A tenner will deliver 1000 euro. Competition starting weekend of the 2nd February. Our adult players have organised a general knowledge Table Quiz this Friday Jan 25th at 7.30pm in the Porterhouse, Oranmore. All are welcome with a good nights entertainment promised. In the Michael Byrne Cup on Sunday in Oranmore, Maree/Oranmore FC went down narrowly on a 2-1 scoreline to West Utd. A missed penalty and three scoreable chances meant lady luck deserted the lads who are having a good season. A David Devlin free was the home score. In the Connacht Junior Cup on Saturday in Oranmore, a mainly u21 side togged as Maree/Oranmore fc B and led visitors West Coast Utd 4-2 with eight minutes remaining after playing very well. A storming comeback by the visitors drew them level and subsequently onto to extra time and penalties. Agonisingly they went down 5-4 on pens. 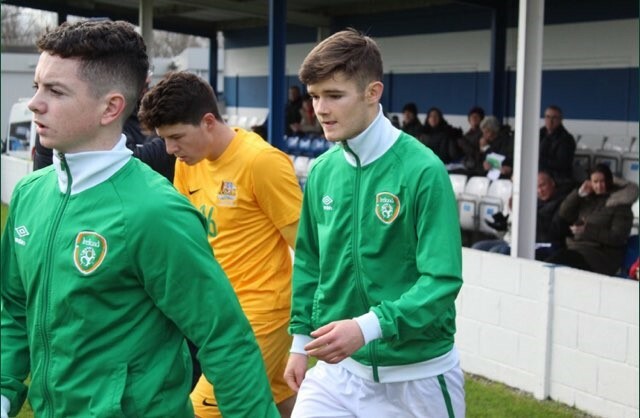 The scorers were Jack Egan (2),Luke Smyth and James Cahalane. Mixed results for several of our u12 sides in local cup action. The u12 premier side went down to Tuam Celtic, The u12 div 1 side defeated Athenry fc on penalties away with Cillian Costello scoring in a 1-1 draw. The u12 championship side drew 0-0 with Loughrea away on Saturday but agonisingly went down 6-5 on spotkicks. The u18 girls bowed out very bravely going down 3-1 to visitors Mervue in the local Cup semi final. Roise Mc Mahon got on the scoresheet with a fine finish. The u18 Premier side had an excellent 5-1 home win to a gallant Athenry fc side on Saturday last. This was a strong performance with fine displays especially from Ben Wright, Ronan Hanniffy, Conor Carroll, Shane Cox and Kevin Horgan. The goals were courtesy of Ben Wright, Dara O'Connor and Alan Greene. The U16 Premier League side were a little depleted travelling away to Kilshanvey Utd on Sunday afternoon last but a late goal held them to a 1-1 draw to maintain their unbeaten League run. Gavin Smyth netted and another penalty was missed in a strong Squad performance. The u14 Premier League side had a well merited 6-3 home win against a battling Kiltullagh side. Ryan O Donnell (3), Seamie Fallon, Ryan Mill and Daniel Keady did the needful. The u14B side who play in Division 2 had a fine 3-0 victory against visitors Cregmore/Claregalway. Among the goalscorers were Daniel Lernihan and Maxime Ludjanakov. 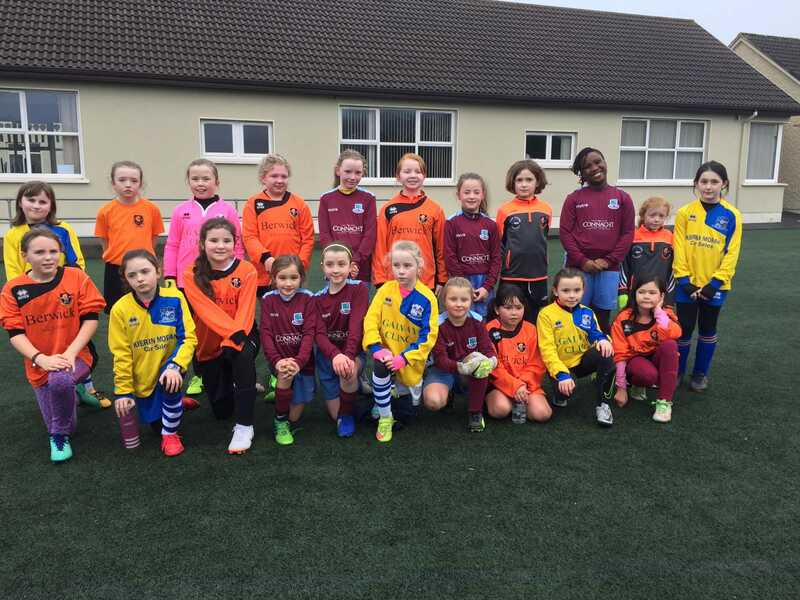 MOFC hosted the first round of the inaugural Galway & District League Girls u10 development league. Teams from Mervue United, Corrib Rangers and MOFC displayed their skills in evenly matched games. Thanks to all the girls and coaches involved on a busy afternoon in Oranmore. Over the next few weeks MOFC will be travelling for return fixtures which continue to showcase the great progress in girls soccer in the city and county. If there are any girls interested in joining our Academy u6 to u10 then please contact the club or simply come to try out training at 2pm every Saturday in the cages. Our u6 to u10 Academy girls train each Saturday 2pm to 3pm in the Oranmore Cages. All are welcome. Thanks to Girls Academy Director Brian Murray.